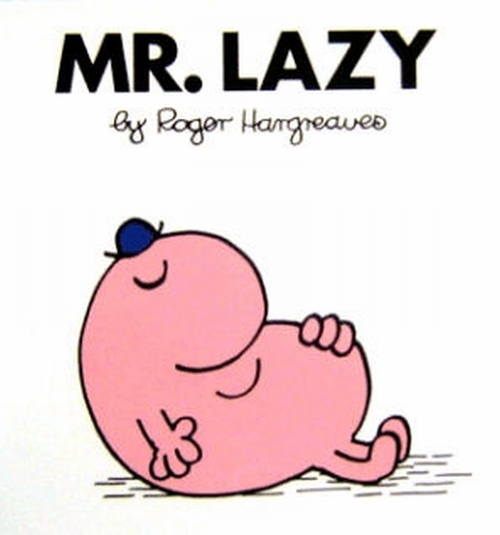 I remember reading a book entitled ‘Mr Lazy’ to my children. Mr Lazy lived in Sleepyland where the birds flew so slowly that they fell out of the sky sometimes. One afternoon Mr Lazy fell asleep in his garden while waiting for his bread to toast for breakfast. He was woken by two gentlemen shouting; “WAKE UP!” He opened his eyes to find Mr Busy and Mr Bustle standing in front of him. They set about giving Mr Lazy many tasks in an attempt to change his life. But it was all a dream and Mr Lazy didn’t have to change his life. Or did he? There always needs to be a balance between work and rest. Work too much and rest too little and we may face burn out or depression. Even Jesus took time off, and He made sure the disciples took time off too (Mark 6:30-32). But there is a big difference between justifiable rest and bone idleness. The KJV states that an ‘idle soul shall suffer hunger.’ While that may seem like an obvious statement, is Solomon linking failure to work with hunger, or is there a deeper meaning here? How about a hunger of the soul? I wonder how many followers of Jesus have hungry souls? Walking with Jesus is like any relationship – it requires investment, and it requires our time and commitment. All this comes on top of everything else we have to do. Consider the disciples. They had to invest a significant amount of time, and make some pretty substantial sacrifices, before they qualified as apostles. Even the process of waiting for Pentecost required an investment in prayer. We need to carry out a spiritual stock-take to determine whether we have hungry souls. Are we Mr or Mrs Lazy living in Spiritual Sleepyland waiting for a wake up call? What will it take for God to get our attention? What will it take for us to make time for Jesus?